Changes to a key artery on London’s road network has caused gridlock across the capital and local area. Camden Council have closed vehicle access around Bloomsbury Square and taken away the heavily used left-turn from Vernon Place on to Southampton Row. the west of the capital to iconic places of interest such as The British Museum will no longer be able to reach their destination logically. Traffic will now be dirverted away from the square through the already heavily congested Red Lion Square and High Holborn area. The changes have seen London grind to halt in areas outside of Camden as congestion and air quality continues to worsen. 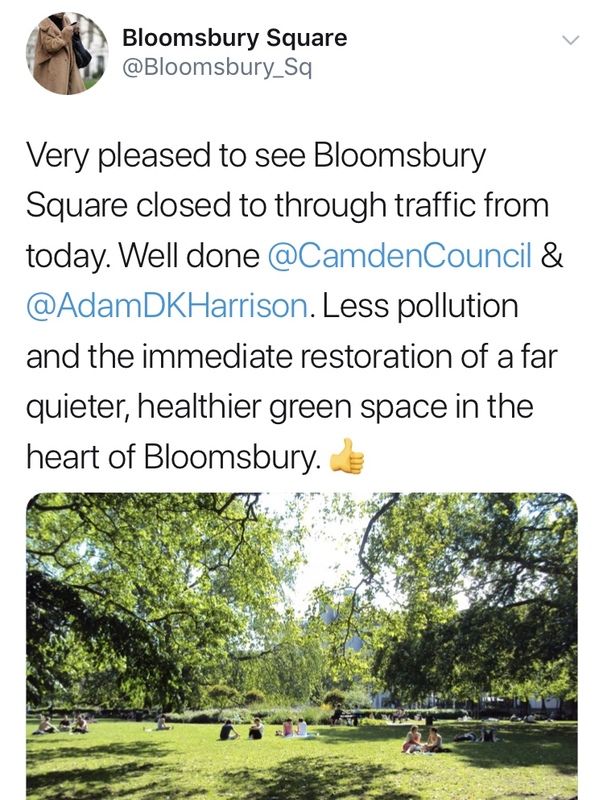 However, one person on twitter welcomed the changes made around London’s oldest square and congratulated the council for its “immediate restoration” for a healthier and quieter green space.